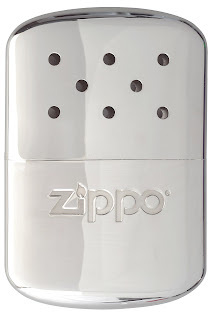 I have a Zippo Hand Warmer ( pictured on the left above ) which is sleek, metallic and indispensible for British evenings that have a tendency to cool off. Once lit the Zippo Hand Warmer stays toasty for up to ten hours, snuggled in its personal pouch and slips easily into pocked and gloves. It's a great gadget for late night BBQs and camping trips. 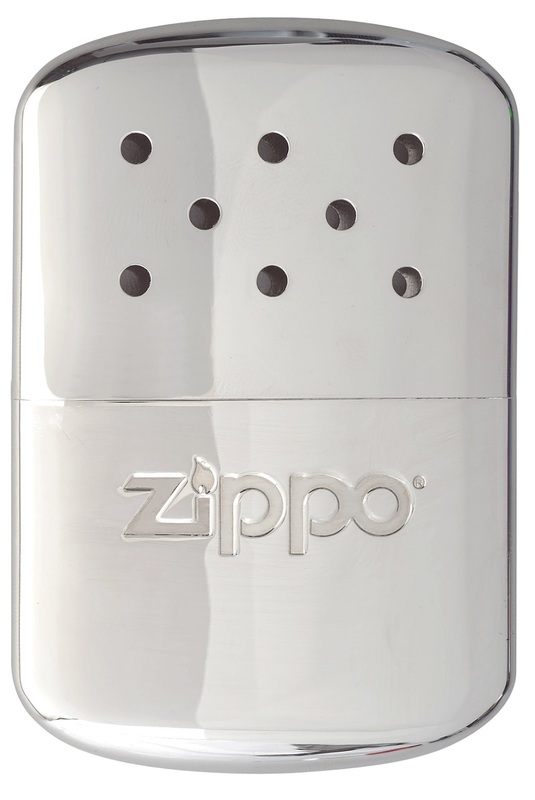 Part of the extended Zippo outdoor lifestyle range – they're so much more than just lighters! I also have a Zippo Flex Neck Lighter ( pictured above on the left ) It's your perfect bendy necked friend ready for any adventure including camping, BBQs and kids too! With the nifty safety switch, the whole family can join in with the fun. The competition will be judged by an independent judge and BEST story will win. (IT's NOT ME) This Competition will run until Monday 10Th September. Good Luck. WE COULD HAVE DONE WITH ONE OF THESE AMAZING HANDWARMWERS WHEN WE WENT CAMPING! THERE WERE FOUR OF US IN A BED TRYING TO KEEP WARM AT NIGHT!! When I was younger I was a member of the St John Ambulance and we'd have an annual European camping trip. They were great times and we all had to get involved in every aspect. A memory that sticks out is when we were on breakfast duty. We walked around the camp, bright and early, singing 'Wake up' by the Boo Radleys and banging saucepans. Not sure what the other campers thought of that! My favourite camping holiday is when I was young and in the Girl Guides. I've had many since and good BBQ's but I always think back to the time when we were camping in a field with horses in the next one. One night laying giggling and staying up late we were in our tent and we heard snorting noises from outside, we were convinced that some monster was outside looking for the giggling girls and we immediately shut up. From that night on we went to bed when told by our Guide Leader and didn't stay up giggling. It was only one of the horses which had got out out of his own field to come investigate - but to us kids it was a monster. I once tried BBQ'ing Frozen Veggie Burgers - didn't read the box properly and they crumbled, fell through the grill and went up in flames! Left me with just bread and ketchup - tasty! We love family bbqs!!! My dad is always in charge of the cooking but unfortunately burns almost everything! He loves charcoaled sausages and burgers so we think he does it deliberately so he can have more! I loved having bbqs when my toddler was around 1 year old. He'd have little bits of bacon and sausage etc, but the thing he really loved was marshmallows! You would not believe the mess he could make with just one, untoasted marshmallow! I mistakenly gave him a cooled toasted one once... that was very time consuming to clean up! The day someone advised me to wear plastic bags over my socks was the best camping day ever. One of my favorite stories to tell about my mom is her experience with a camping trip she took many years ago. My step-dad loved fishing, and really enjoyed anything outdoors. I guess opposites must attract because my mom has major hay fever to trees, grasses, and a major aversion to anything creepy or crawly. My step-dad decided he really wanted to get a tent and start taking some camping/fishing trips. My grandfather decided it sounded like a good idea for him and my grandmother. So they presented the idea to the two women before they went shopping for the tent and camping supplies.. My mom said immediately that she did not intend to go on any camping trips because she was concerned about snakes. Grandmother nodded her support, as the snake thing was a major concern of her's. too. My step-dad assured them that where they were planning to go was a campground filled with pine trees, and since snakes can't crawl on pine needles, (They bought that. No, it's not true) they would not have to worry about seeing any snakes at all. which to choose? I've been camping now for over 50 years, thankfully mostly without major incident! But there was one memorable windy night on the Northumbria coast when, thanks to my skills learnt in guides, we were the only tent still standing by the time morning came round! we went camping when my son was about 2 years old and potty training...we left him with no pants splashing around the paddling pool and he secretly did a poo! - yuk! WENT CAMPING WITH FRIENDS IN A CAMPGROUND CALLER "THE COUNTRY MOUSE". It's been a while since I went camping. My fiance and I are hoping to go when it cools down a bit. We used to camp every weekend when I was around 20. Had so much fun staying in the tents, bbq'ing with other campers, lots of campfire stories. Was always fun. last time I went camping was the leeds festival in 2001..... my tent was infested by spiders, I was thrown in a ditch by riot police and the campsite was burned to the ground. Fun Times!! Always remember first camping trip to the Lake District, it was raining pretty heavy when we went out first thing, stayed out all day, when we got back we could see our tent but it had a lake of water all around it!! 3 years ago we went on a week long camping holiday to the gorgeous Shell Island in wales. Basically from the word go it was a disaster! We got there all excited with our 3 kids pulled the tent out to start putting it up! & my partner says chuck us the tent pegs...... Ummm there not there! So we then had to go & find somewhere to buy tent pegs! Anyway we got some & up the tent went & we had a lovely first 3 days :) kids playing in the sun and the sand & mummy & daddy relaxing, was just how we wanted it! The evening of day 3 came and the heavens opened! & I don't mean just a little bit of rain, I mean big old far rain! And there was thunder & lightning, wasn't very pleasant at all. Then after managing to fall asleep I was woken at 3am..... The tent had collected water on top & caved in, I woke my partner quickly to see if we could do something to fix the snapped pole, so shoved some trousers on quickly & got out of the bedroom compartment. Then to my horror realised there was literally a river of water running straight through the middle of our tent! We once had a tent completely blown away during a sudden gusty wind/rain storm. Had been enjoying a barbecue of sausage, beefburgers and beens, when the deluge suddenly hit us. We charged off down a steep wooded valley trying to catch the tent before it blew completely away. When we returned the BBQ was a sodden mass of wet grease. Went to a local pub for a meal and decided camping wasn't for us. One camping trip with the army cadets on an annual summer camp, we had set up base camp with all of the bashers (ponchos bungeed around tree trunks to make a shelter) set up ready for the cadets to go straight to bed after a night exercise. So far that day the weather had been fantastic and even a few of us had caught the sun, so was a lovely surprise in the middle of the night when the heavens opened. Now ive seen heavy rain before but this was just silly and flooded the whole of the base camp area in the forest in no time, cue having to pack everything away while trying to settle upset kids and find somewhere drier 3 o'clock in the morning. Luckily we managed to find a barn down the track a few miles so no having to remake the bashers quickly. Wasnt very fun at the time but all the kids were so excited about telling their parents about it the next day, was a proper adventure for them. My brother went camping with his friends,and one of his friends tripped over in the dark so they stuck saussages up his nose! Since my kids were little been going to a single parent family camp where we have the best campfires and stories ever!!!! It really is a great time my kids still love going now as teenagers!!! By the way thank you for this great giveaway!!!! Massive BBQ on the Loire river with my parents and brothers - I was 10! Best camping trip was waking up with a river of water around my sleeping bag and bailing out the water with a tin mug. Fellow campers helped me out by making me a big breakfast of meat and eggs and coffee and helped me repitch my tent. Have always loved camping, falling asleep and waking to the sounds of the bubbling brook, living off the earth, fishing cooking over an open fire roasting marshmallows. Only bad part is when you wake to realize it isn't just you in you sleeping bag, to this day I still have no idea what was crawling in there with me all I know is I got out as fast as I could and stayed in the truck the rest the night. My favourite bbq story is called "keeping up with the neighbours" as each spring turns into summer it seems there is a battle of who can get their bbq out first between us and our next door neighbours!!! we have to plot the first weekend of good weather and hurry along to the supermarket to stock up on sausages, chicken and beef burgers. We then rush out to the garden to light the coals and hide the smokey plume until we have our meat out on the grill ready to cook! yes I say we have had the first bbq this year.......finger on tongue and into the air! our best BBQ has got to be from our holiday in france last year. was so nice and relaxed sitting outside watching the world go by, while my husband and son cooked the dinner. a nice few glasses of wine were added too. It was Boxing Day 2006 and I was a bit tiddly drunk and thought it was would be an awesome idea to have a BBQ outside so it felt like we were all sat around a camp fire (don't ask me why because I just don't know!! )We unplugged fairy lights from the tree and took them outside and sat around the disposable BBQ with gloves, hats, scarves etc - then we realised, that we had no defrosted meat as we were going to be living off of the Turkey we'd cooked the day before for the next 3-4 days! It was such a disappointment, and we all had numb bums for at least 2 hours after having sat on the freezing/frosty paving stones! We never had that amazing idea ever again - LOL! A fab set thank you! There have always been coyotes around my house, but one night we were camping on our lower property and they chased a skunk down within 50 yards of us. It was loud and exciting. we know it was a skunk because we saw the leftovers in the morning. Our fave barbecue times has been grilling in a winter snow storm.